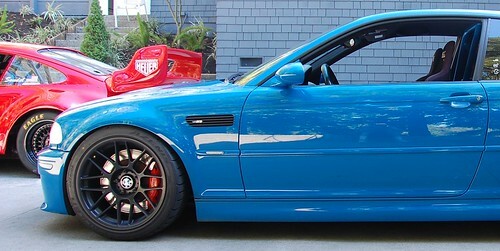 It has always been a dream of mine to own and collect different E46 M3s serving all different primary purposes. 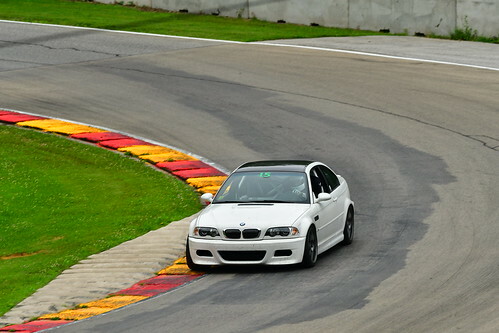 As crazy as that sounds, the BMW E46 M3 is and will always be my dream car. Not sure if it's the emotional attachment or just pure uniqueness of the platform, I love them. In April 2014, I was in a very unexpected position to purchase another E46 M3. In that hunt, I contemplated a lot of different "must haves" in the next E46 M3. I thought about getting a louder color, different options, various ranges of miles, etc. In the end, I decided that I wanted to put together another subtle, clean, and classy street dedicated car. Reminding myself of that primary purpose, I started looking for cars that were as low optioned as possible. I wanted a low-mileage, cloth seats, no sunroof, and 6MT. As expected, it was a tad tougher to find such a specified car. Perusing through nationwide listings, I found this Silver Grey E46 M3. It was listed at a fair price and in the photos, it looked almost too clean to believe. With the car being a couple States away, I tried to think of ways to get a better look of the car prior to making any decision. Thankfully, my incredible friend, Kareem, was willing to take time away from his weekend to scope out the car. Knowing how meticulous he is with his own Jet Black E46 M3, I knew I can certainly trust his judgment. Low and behold, the car actually did end up being pretty darn clean! A few days later, I took a one way Amtrak to Michigan and drove back with a Silver Grey E46 M3! Through this build journal, I will be going combing through the car and doing my best to bring it back to factory/showroom clean with some tasteful modifications! Last edited by flipm3; Sun, Aug-27-2017 at 06:45:21 PM. now we need some pictures! I thought there would be a follow up based on your IG photo. I am sure this will be another great project! Very clean starting point. Last edited by WyattH; Thu, May-08-2014 at 05:06:45 PM. Sounds like a good one, congrats! I really like silver grey. nice pick up Alex! All times are GMT. The time now is 06:37:54 PM.